The time has come to roll up your sleeves as SSC has released the Exam Date and Time for SSC CGL Tier-2 2016. As informed earlier, SSC CGL Tier-2 2016 will be conducted in Computer Based Online Mode. It will be held from 30th Nov. to 2nd December 2016. Admit card will be uploaded shortly on the official website of SSC. 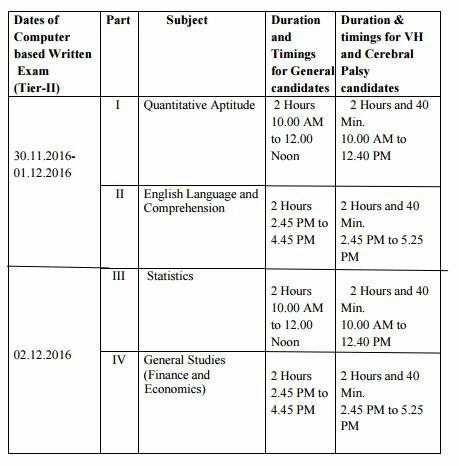 Check below attached image for getting more details about the Exam Dates and Timings.